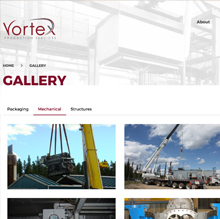 Vortex Production Services needed a new responsive website with rich photo galleries to really show the some of the industry's most sophisticated oilfield production and processing equipment . A simple user experience making it easy for all personas to find information quickly was key with large representation of images over text with a clean design. 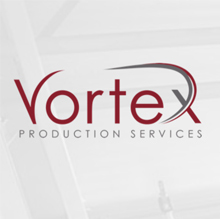 Vortex has developed a reputation as a trusted and experienced supplier to most major oil and gas producers and infrastructure companies in Western Canada. 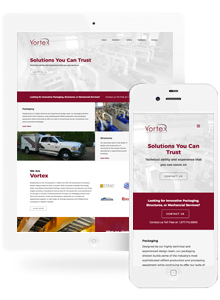 Red Cherry also created a strong digital marketing campaign to corner the digital market for Vortex with search engine optimization and remarketing. 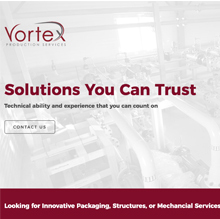 Call us at +1 888 401 6668 lets talk about your website! Clear top level messaging delivers. Clean Galleries showing off the impressive work. Wordpress CMS easy to use with 1000's of plug-ins. 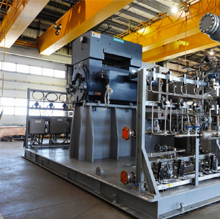 Digital marketing campaign drives leads.